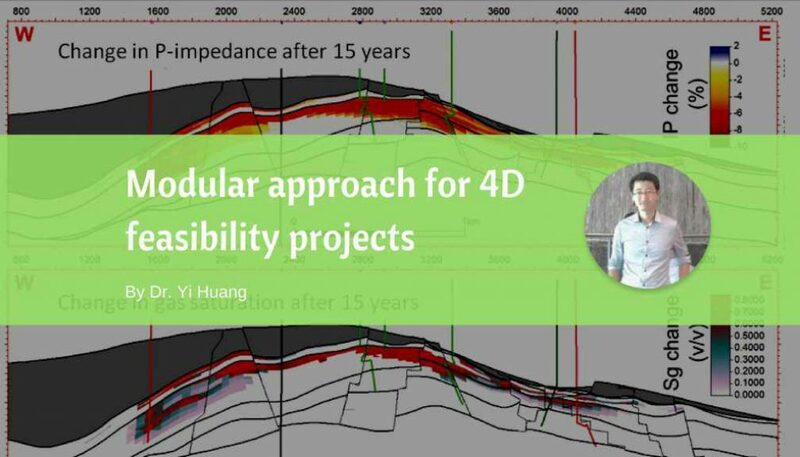 4D feasibility studies are required to assess the detectability of the expected 4D signal from changes in the reservoir over time. It is necessary to integrate petrophysics, reservoir engineering and geophysical expertise to conduct these studies. A modular approach could be taken in analysing the detectability of the expected 4D signal. The rock physics or Petro-elastic model (PEM) is the key component of any 4D forward modelling exercise. PEM translates the production-induced effects of saturation and pore pressure variations into changes of elastic properties (VP, VS, Density). One major challenge is to calibrate the in-situ PEM parameters; in particular, the elastic moduli of the solid components (hence the ratio of the dry-frame to mineral elastic moduli) can be variable and they need to be adjusted to the specific field of study. 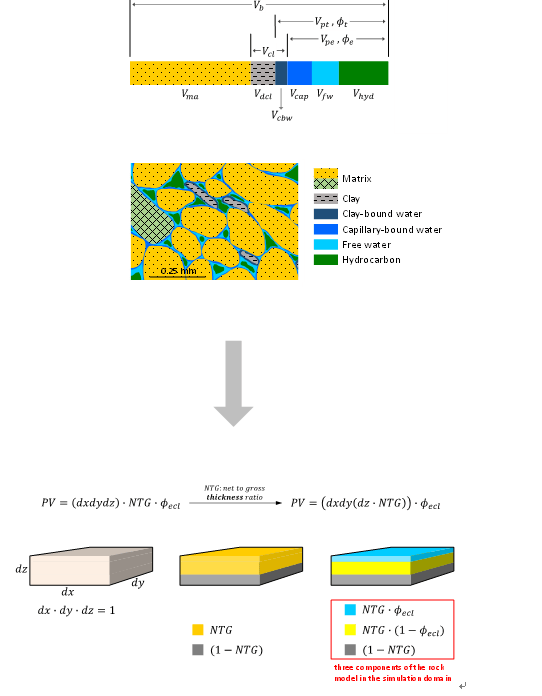 The picture below shows the results of applying an algorithm that allows modelling of the variations of the dry-rock elastic moduli with changes in porosity and mineralogy in a multi-well fashion which is applicable to multi-mineral, multi-fluid rocks. At this stage, you are dealing with all your potential fields that 4D may apply. Here, average reservoir properties are used to generate cross-plots that summarise the general expected 4D signal. For example, the P-Impedance change would be plotted as a function of water saturation and pressure depletion. 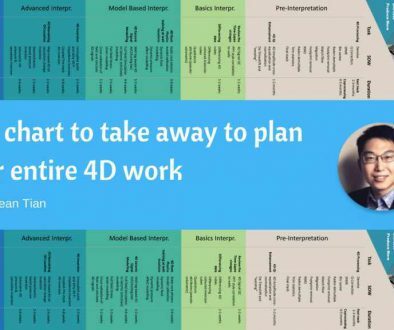 These cross-plots are valuable tools in communicating the 4D concepts across different disciplines. Normally, a 4D VOI study is followed to evaluate the economic viability of the 4D deployment at this stage. Successful candidate fields can be taken to the second module for more quantitative assessment. This stage gives you the concept based 4D viability. 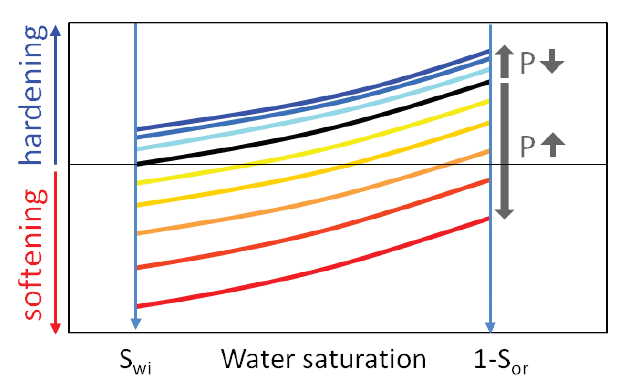 Figure – 4D screening can be plotted as impedance changes vs. saturation changes to assess the sensitivities between 4D seismic and reservoir changes. After selection of the potential 4D sensitive fields, next module is to generate the 4D synthetic seismic gathers. 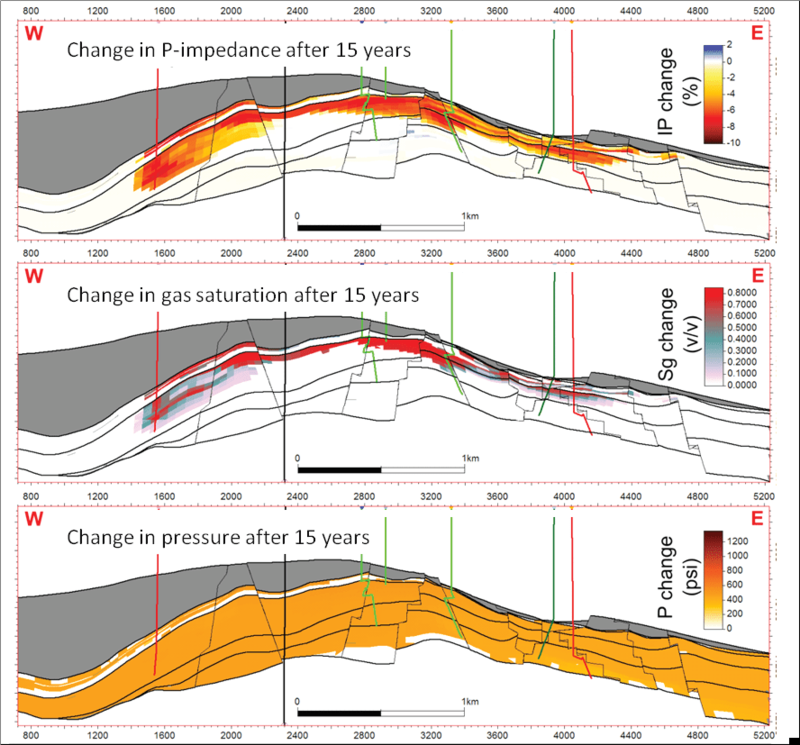 As well as saturation and pressure end-member analysis, time lapse saturation and pore pressure profiles are extracted from the Eclipse fluid flow simulation model to investigate the expected 4D signal throughout different stages of production. This allows one to analyse variations of 4D attributes (amplitude and time shift) and NRMS values at well location(s). 4D AVO analyses are also performed to investigate the possibilities of using angle stacks for discriminating the pressure and saturation effects from the observed 4D seismic. This module is a more field-specific stage to predict the 4D signal by integrating the field lithology and fluids into the feasibility study. It gives the facts based 4D prediction. Even though well-based 4D seismic modelling is useful in establishing the feasibility and evaluation of the 4D AVO responses, it might be inadequate in understanding the lateral-sweep efficiency and the timing of the repeat surveys. Additionally, the well data may not represent the reservoir-property variability (wells are targeted in high net to gross areas) and hence bias the modelling results. Simulator to seismic modelling is a valuable tool in overcoming these challenges. Static and dynamic properties from the Eclipse fluid-flow simulation model at the desired time-steps are extracted and, using the calibrated PEM parameters, the elastic parameters are calculated at each time-step. 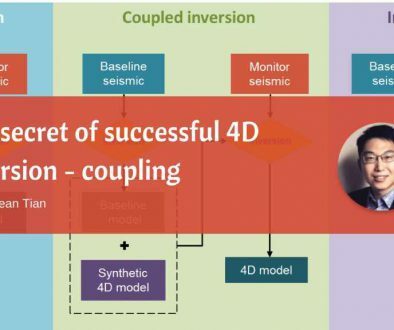 Figure – reservoir model based full-field 4D sim2seis gives the scenario based 4D prediction. 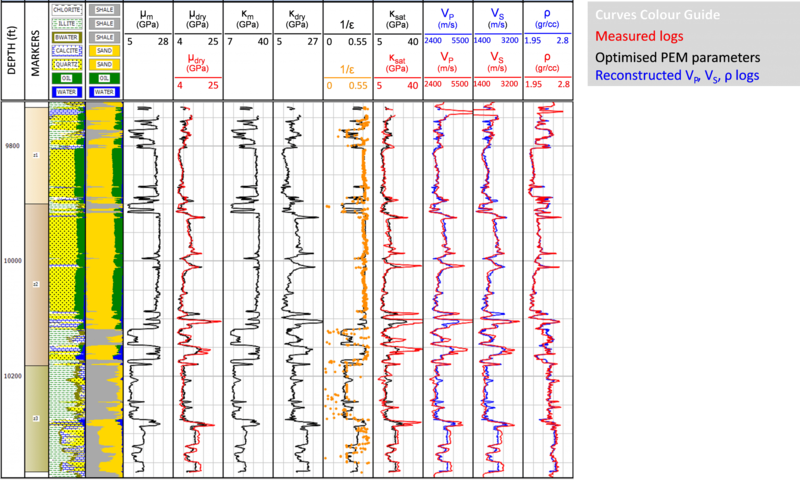 Another key aspect of PEM for the simulator to seismic modelling is the consistency of the rock models in the petrophysical and the geological/simulation domains. The link between the rock models in the petrophysical domain (log data) and the engineering domain (simulation model) is of crucial importance. Based on the previous modules. The 4D seismic signal could be analysed in the presence of different levels of non-repeatable noise. This helps to set the criteria for the timing and the design of repeat surveys. This module is to assess the practical viability of the 4D project. Figure – typical 4D acquisition methods and the corresponding noise NRMS level. Most cases, the near stacks show stronger 4D and is more easily to be resolved by non-4D dedicated acquisition approaches. 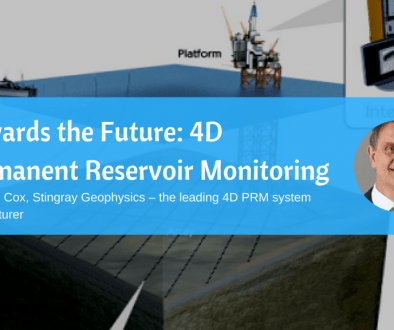 4D BOOK OF KNOWLEDGE V – 4D acquisition system and its manufacturers from iRes-Geo’s strategic partner Stingray geophysics. We will be discussing the advantages of dedicated 4D cables and acquisitions. iRes-Geo Technology (UK) ltd (Reg. no. SC525430) is a limited company registered in Scotland. Registered office: Unit 1, Block 5 Research And Development Park, Riccarton, Currie, Midlothian, United Kingdom, EH14 4AP.